Tekken is one of the oldest and most popular fighting game franchises in video gaming history, and many consider 5 to be the epitome of what made the series so great. Whether you were playing it in an arcade or on the PS2, you were probably having fun with Tekken 5 thanks to how simultaneously easily accessible and satisfying to master it was. The game had something for everyone, and since the mechanics were so flawless and the graphics have aged considerably well, it’s still incredibly easy to pick up and play all these years later. Tekken 5 was released on November 4, 2004 for the PlayStation 2. It was an improvement on the previous game, Tekken 4, in almost every way, which came as a huge relief to the countless Tekken fans who were dissapointed by some of the questionable decisions that developer Namco made in that earlier iteration (uneven terrain in a fighter, really?). 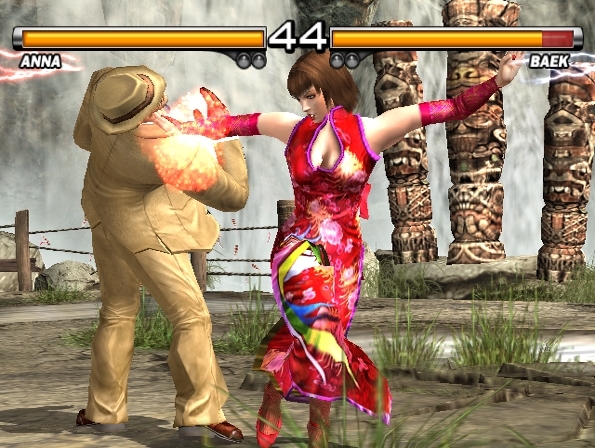 T5 remained so popular over the following years that Namco eventually ported it to the PS3 and Xbox 360 in 2009, where it continued to sell incredibly well. Unlike the modern trend of 2D fighting games, Tekken was a 3D experience, but it didn’t make moving through the extra dimension a complicated affair. The controls were simple and easy to learn, and new players could start pulling off flashy moves within their first few rounds. Dedicated players, on the other hand, were treated with countless methods of creating and pulling off combos with all of the different characters, so there was an incredible amount of depth. When it came to characters, Tekken 5 had no shortage. From the samurai Yoshimitsu to the sumo wrestler Ganryu; from the break-dancing Eddy Gordo to the kangaroo-with-boxing-gloves Roger, there was so much variety to the roster that it wasn’t hard to fall in love with more than one of the many unique characters. The stages were a ton of fun, too. Polar Paradise had you fighting among penguins, Moonlit Wilderness was a gorgeous nighttime stage with a crumbling castle in the background, Dragon’s Nest had you fighting in the clouds… each one was novel and undeniably beautiful, and there was never really a level that you felt you needed to skip. As far as game modes go, the story was limited to a series of increasingly-difficult matches against the AI, culminating in a personalized cinematic ending for each character. There was no online play on the original PS2 version, but VS in a fighting game is always more fun when both players are on the same couch, anyway. There was also a strange action/adventure mode called “The Devil Within,” which had you take control of Jin and fight your way through multiple enemies at once… it was weird, to say the least. 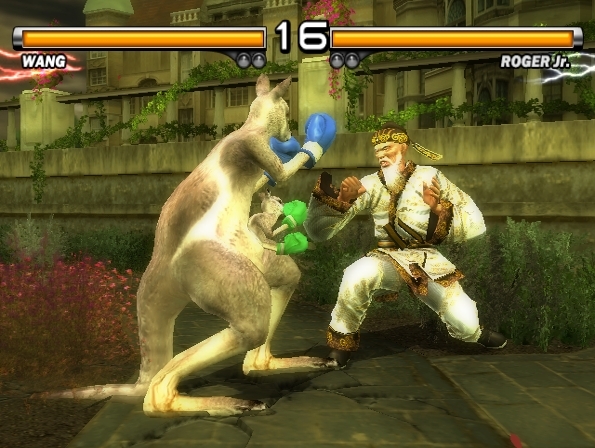 In the end, though, that’s the beauty of Tekken 5. 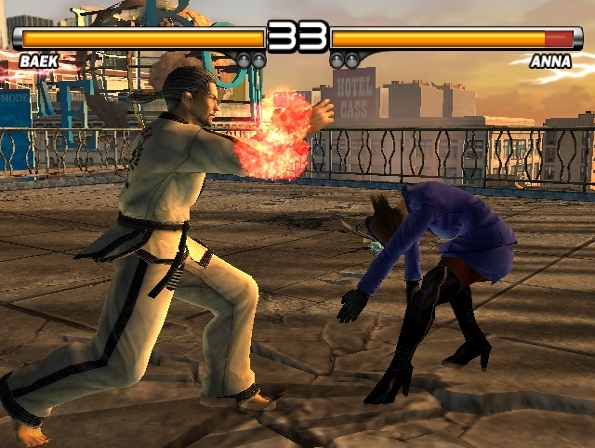 Modern fighters have to pack countless modes into their game for the purchase to be considered “worth it,” but Tekken 5 simply relied on its excellent combat mechanics, flawless animations, fantastic audio visual presentation, and colorful cast of characters. It didn’t need anything else, and it still stands up today. If you’ve never had the chance to play Tekken 5, it’s definitely worth picking up even though nostalgia won’t be a factor. It marks a high point in not only the Tekken series, but in the fighting game genre as a whole.